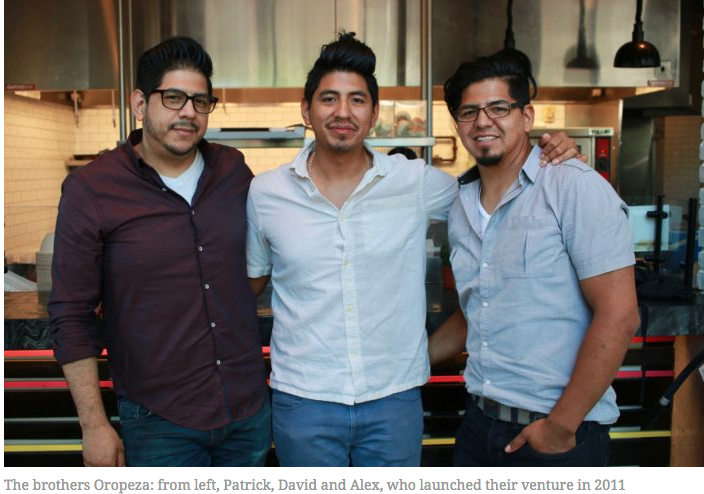 How Oropeza Brothers Brought Bolivian Cuisine to Brooklyn, Successfully! It always brings me joy to find our people being successful overseas. The Oropeza brothers have relentlessly achieving success, kudos to them. My next stop in NY, will certainly be there, Bolivian Llama Party is waiting for all of us! The above opinion belongs to Bolivian Thoughts. Yet many Brooklynites who have been visiting their new shop, Bolivian Llama Party, have been getting it. 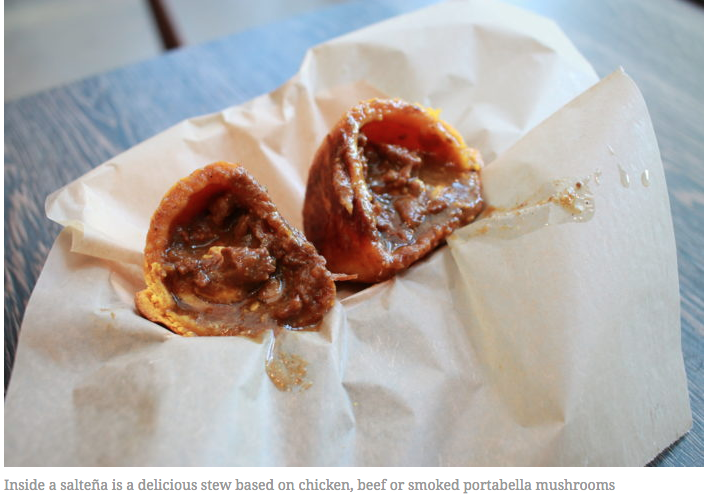 “It’s kind of like a pizza for Bolivians,” a national comfort food, brother Alex explains. 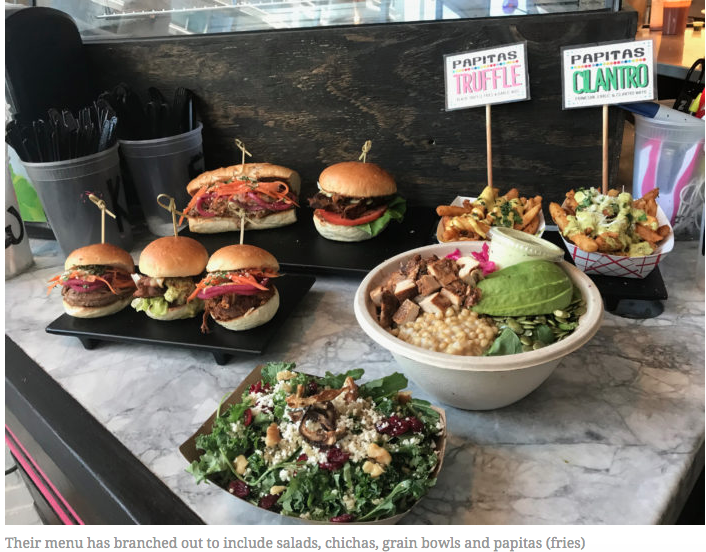 Since their shop opened in April in the newly reopened Gotham Market at the Ashland in Fort Greene, the three Oropeza brothers have filled a gap in the borough’s cosmopolitan menu. 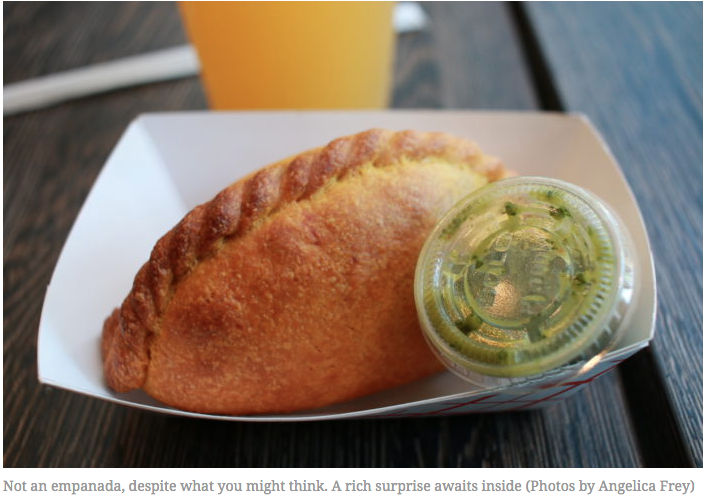 Brooklynites can already find a wide variety of Latin cuisine, from Brazilian to Uruguayan, but until the brothers arrived, sampling authentic Bolivian food meant a trip to Queens. In a way, that’s where Bolivian Llama Party comes from, since the Oropeza brothers are Queens natives with roots in Cochabamba, Bolivia, a city in the Andes mountains. Their startup story is all about taking small steps–starting with food stands at street fairs, graduating to more exalted venues like Smorgasburg, and finally establishing themselves in brick-and-mortar food halls. In the process, they needed to educate their customers about new flavors and language. “Everyone knows what a taco is, while with Bolivian food there are words you don’t know,” explains David. The formula they developed was to include “easier” choices, such as pork sandwiches and fries, subtly introducing Bolivian flavors into them. Bolivian Llama Party started as a side hustle in 2011. Patrick, a musician looking to finance an album, asked his brother David, a recent college graduate, if he’d be willing to “sell some food” at street fairs. They gave it a try, but discovered their sales were only about $200 per day. “We did terrible. Our concept was really weird,” says David. “We made homemade soda with cocoa leaves, we did roasted corn with compound butter.” To people used to street-fair staples like sausages and zeppole, their tossed-together sample of Latin snacks was jarring. They applied to Smorgasburg, but got rejected. That’s not unusual; applicants joke that it’s easier to get into an Ivy League school. They applied again the next year with a stronger product, more focused on the cuisine of their ancestral homeland, and got in. They launched a Rockaway Beach outpost at the same time. To keep the machine as well-oiled as possible, each of the brothers oversees a different aspect of the business. Alex, the eldest, with a background in business, oversees the financial aspects. Patrick, the middle child, always a chef at home but with a background in marketing and philosophy, is the chef. David, the youngest, oversees operations, which ranges from marketing to setting up locations. So what exactly is a Bolivian flavor? Chiles and chile pastes are the base. There’s the Panka chile, sweet and smoky; then aji amarillo, with a higher heat level. What’s challenging for the brothers is that certain herbs that are staples in Bolivian foods are quite hard to come by in the U.S. So the brothers make do. “We take what the flavor is to me, and create a rendition of it by putting things together,” says Patrick. The best example would be llajua, a green salsa/chutney that Bolivians use liberally. “It has a lot of flavor, whereas many hot sauces you have here lack any flavor,” says Patrick. The base is quilquiña, also known as “Bolivian coriander,” which grows only in the spring. After trying unsuccessfully to grow it in New York, they decided to substitute a blend of arugula, basil and other ingredients. “It’s a matter of finding plants with the same flavor profile,” says Alex. “Then Patrick tweaks it and makes llajua.” Suffice to say that it fools their Bolivian customers too. The brothers graduated to a full-time food hall in 2016, when they opened at Turnstyle Underground Market, situated in the Columbus Circle subway station in Manhattan. It took some adjusting. They were still wired with the Rockaway/Smorgasburg mentality, a weekend vibe. Salteñas, sandwiches and fries all sold very well in that context, but didn’t translate well to a midtown lunchtime crowd not really keen on eating a pork slider. Their grain bowl eventually became the best seller. They added a quinoa kale salad, which was natural since the seed is native to Bolivia. Both Eater New Yorkand the Village Voice named their stand one of the best new restaurants of 2016. Next came their chicken sandwich, marinated in Bolivian beer (a hoppy pilsner), which drew raves. “It’s healthy but it doesn’t taste healthy,” says Patrick. Once they arrived in Brooklyn, the brothers started rolling out chicken-topped grain bowls. Aside from the usual fixings, the grain they use is trigo, an Andean wheat berry. Later in the summer, they plan to introduce a grain bowl topped with brisket. (This reporter enjoyed a delicious preview.) Homemade ranch-like dressing comes on the side.